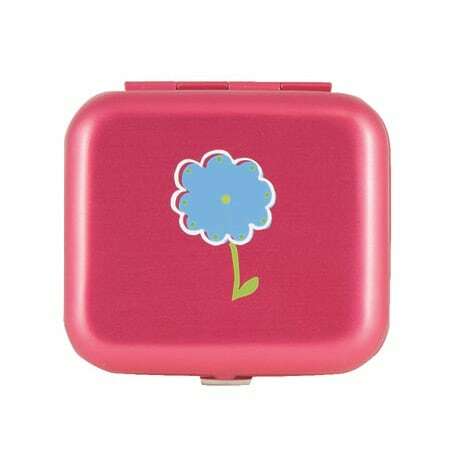 In a metallic raspberry color, with a single blue flower on top, this aluminum pillbox offers stylish protection for the medicines you need to keep handy. Just ? of an inch thick, the 2? x 2?inch box features a three-section plastic inner tray.